The A-Body provides an abundant storage area for tools and consumables that are stored in easily adjustable internal shelving. Storage cabinets are accessible with side door access on each side of the body. All doors have slam shut locks and are keyed alike, with optional central locking. The centre aisle between the two side modules provides a secure utility storage area with tie-down points along the inner side walls. 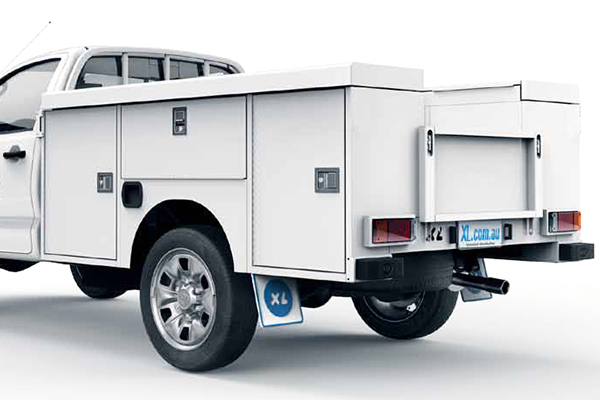 Access to the aisle is via the rear of the body and features a tough swing-down workbench tailgate. • Slam shut side cabinets. • Centre aisle tie down area.